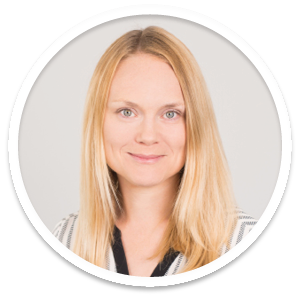 We have recently spoken with Linda Freiner who is Group Head of Sustainability at Zurich Insurance Group (Zurich) about enhancing the voice of stakeholders when undertaking materiality analysis in execution on their sustainability strategy. Zurich is a leading multi-line insurer that serves its customers in global and local markets. ​This year the firm is running a materiality analysis supported by Datamaran with the primary goal to strengthen the existing process for identifying material issues relating to sustainability risks using Datamaran’s data-driven approach. 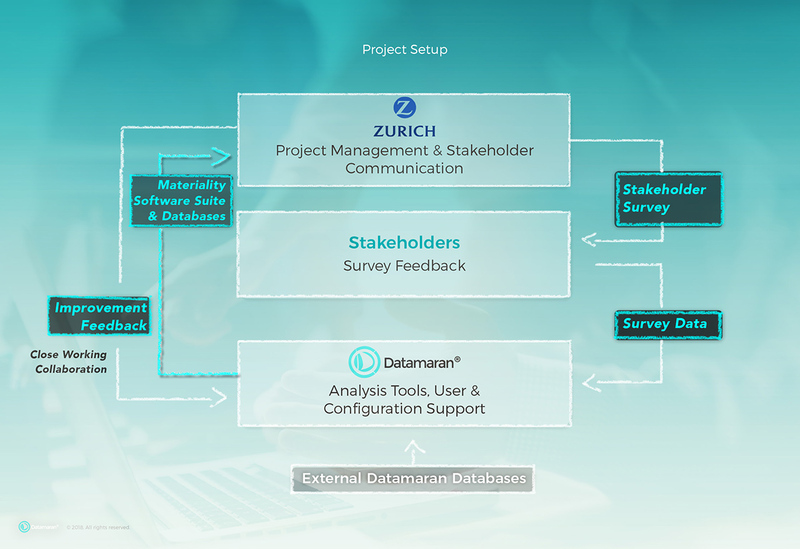 Through combining Zurich’s previous methods, the new approach will be strengthened with Datamaran’s Materiality Module. The new approach will help to quantitatively structure material topics for Zurich’s business as part of implementing their sustainability ambition and continued sustainability reporting cycle. This year’s aim is to ensure that materiality analysis combines both external and internal perspectives ensuring a robust implementation of Zurich’s sustainability ambition. Aligning the firm’s sustainability focus internally with what their stakeholders might expect them to focus on externally has become the company’s priority in the materiality exercise. "It is important to use a data-driven approach to understand and capture stakeholder opinions correctly." One can argue that stakeholder perception is important and I would agree with that. But building your analysis only on their perceptions is not enough as it should also be backed by solid data analysis. That is why I firmly believe there is a need to have both a data-driven and qualitative perception approach utilized to get all stakeholder voices heard adequately. This is, of course, what Datamaran offers as it gives you an opportunity to apply both quantitative and qualitative approaches to understand your stakeholder voices. ​Freiner: ”Besides the problem with perception, the main challenge with survey-approach is the amount of information we are looking to get from the respondents. It is simply unrealistic. We are asking for a lot of information from someone who is not working in this area on a daily basis. This is one of the main limitations of the survey-only approach. ​The further illustration of this could be a survey that we got from our customer from the pharmaceutical industry. It was impossible for me to answer the survey as the questions they asked were so complex and too pharmaceuticals-specific that someone who is not familiar with the sector could not possibly understand. Although this is just one example it very well reflects the overall business trends. Unfortunately the majority of materiality analyses are done through using this external survey approach. ​Freiner: “Materiality analysis findings are being used to guide implementing our sustainability ambition in order to focus solution development on the most material issues for creating shared value. 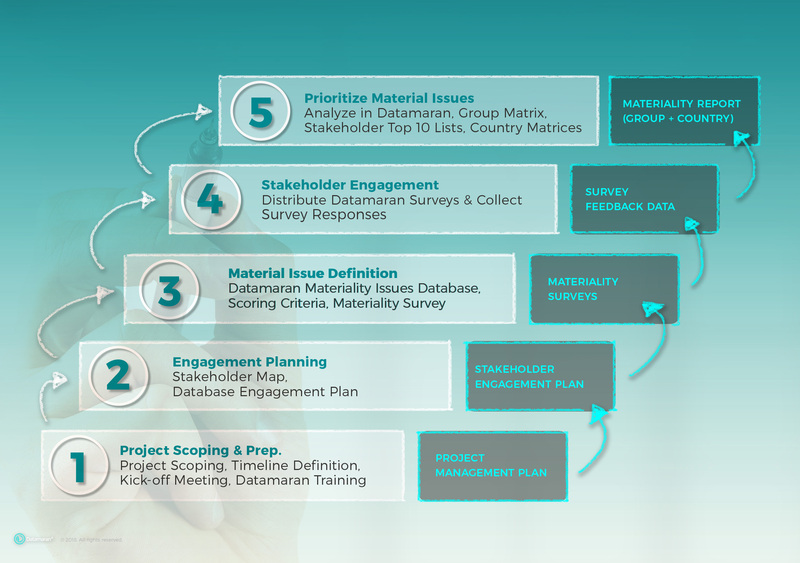 Based on previous materiality efforts we had an idea of what material topics could be for us, but using Datamaran is a way to confirm that the issues identified are correct. I like the fact that we can validate them through getting the robust external data and also gathering internal data. It is also a way for us to monitor these issues by staying updated with what is happening in the peer, media and regulatory landscape. Ultimately it helps us to stay on top of risks and leverage opportunities that we are yet to see with the help of Datamaran. ​There is also a growing case for continuous monitoring of our potential material issues - we will be looking at the findings on a more continuous basis from benchmarking, underwriting, and investment perspectives. It really helps us to stay tuned with what is going on in the outside world and adapt accordingly. Besides focusing on peer benchmarking, monitoring also helps us to understand the areas where we might need to take more forceful positions. For example, if you look at the area of climate change, probably waste is not going to be material for an organization like Zurich Insurance, but there might be other areas that are becoming mature in relation to the risks faced by insuring physical properties in the face of a changing climate. ​Bringing it back to our original objectives, having an access to big data and being able to blend it with our internal data in the same system is something that made us opt in for Datamaran. ​The ideal scenario of undertaking materiality analysis for Zurich would be as follows according to Freiner. Set up an external analysis of what are the issues that are material for Zurich based on Datamaran analysis of the competitive, regulatory and media landscapes. Use that external analysis to set up and run a survey with Datamaran Survey Tool to our employees, which is largely based on these issues that came up in the external review. Discuss the results with our senior executive team to make sure that we zoom in on the ones that are the most material, so we can integrate them into our activities and set up appropriate targets for what it is that we want to achieve. Start working on ensuring that the above ambitions becomes part of our business as usual. Monitoring these issues. Ensuring that if they change and develop we are changing accordingly and are adapting to the new realities to stay up to speed with any changes that might come our way. As a trusted partner of the established consulting firms and multinationals, Datamaran helps with benchmarking, materiality and risk analysis. Datamaran’s proprietary software enables data-driven decision-making by analyzing publicly available sources, such as; corporate reports, regulations, news and social media. The company captures evidence-based insights for more than 7,000 companies and tracks all regulatory initiatives worldwide. Get your complimentary demo of Datamaran to find out how you can improve and streamline your materiality analysis process.